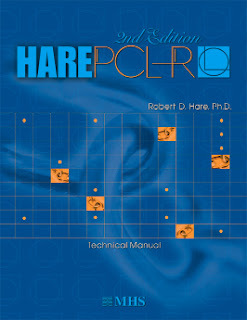 In honor of this week's (rerun) This American Life episode on The Psychopath Test, I thought it might be interesting to take the Hare Psychopathy Checklist (PCL-R) myself. Obviously, as a self-diagnosis, it is unlikely that I will get everything correct. But it's just for fun, anyway, so whatever. 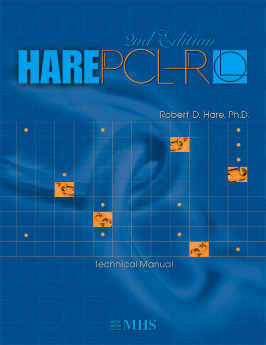 The PCL-R is basically a checklist of factors which either apply not at all, somewhat, or fully. If a person showcases enough of these factors, then they are, by this model, psychopathic. Most in the field also use the word "sociopathic" as a synonym, but in some circles, the difference between sociopaths and psychopaths are the external rather than internal factors. In other words, on the inside they are the same, but sociopaths tend to not break laws, but only social taboos, while psychopaths tend to go as far as hurting other people in a malicious manner. The factors exist in three categories. The first addresses personality. Sociopaths, in general, are aggressive narcissists. Most (though not all) sociopaths have narcissistic personality disorder and/or histrionic personality disorder. For the record, I have neither. Nevertheless, I expect to still score at least some points in the personality category of the PCL-R. The second category addresses case history. Most (though not all) sociopaths live a socially deviant lifestyle and/or have antisocial personality disorder and/or a history of criminal behavior. I have no history of criminal behavior whatsoever, and I definitely do not have antisocial personality disorder. However, I do live what most would consider a socially deviant lifestyle, so I expect to also score some point on this category of the PCL-R. The last category is a catch-all for traits not associated with case history or personality, yet are strongly correlated with sociopaths. This includes sexual choices, acquired behavioral schemes, and versatility of criminal planning. Since one of my core strengths is my capacity to acquire behavioral schemes, I also expect to score in this area as well. I have self-scored myself a 0, 1, or 2 depending on whether each item describes myself not at all, somewhat, or fully. If you wish to score yourself as I did, you will need more information on each item in the checklist. Here are two unofficial sources you might want to consult: Narcissism Support and PsychForums. Most people, according to wikipedia, will score a 3 or less on this test. Sociopaths generally score higher than 25-30. I scored 8. Of course, since I self-scored, my result is probably very far off. Maybe I am using a poor standard to test myself against. Maybe I consider some traits being somewhat descriptive of me when a professional would instead say that it is instead not at all descriptive of me. After all, I scored myself a 1 for some traits which held true in the past but which no longer hold true at all for me. Maybe those should have been scored as a 0. Nevertheless, I find it interesting that I scored as highly as I did. Does this mean I have some sociopathic tendencies? As a follow-up, I also decided to take a look at my responses for the Levenson Self-Report Psychopathy Scale. I took the test on Personality Testing, which is maybe not the best place, but it's what I chose to use. My results were substantially different from the PCL-R.
On a scale of 1 to 5, I scored a 1.6 for primary psychopathy, related to "a selfish, uncaring and manipulative attitude towards others". I scored a 2.8 on the secondary psychopathy scale, related to impulsivity. My composite score was 0.8 (no idea how this number was arrived at), whereas the average score is between 2.8 and 3.0. Psychopathy correlates with scores higher than 4.6. In other words, according to the Levenson Self Report Psychopathy Scale, I am apparently much less likely to be a sociopath than the average person taking their test. This result is completely contrary to the result I received on the PCL-R.
Of course, I really shouldn't pay either of these results any real attention. Labels tend to get in the way more than they help when you are dealing with individuals. (The usefulness of labels accrues exponentially when dealing with large groups, however.) All that matters for me is that I am myself, and that I am comfortable and happy with whom I am. I hope those few who read this will agree. Sociopaths often exhibit very predictable patterns when manipulating others. I learn a bit from this post and my question is: Is Bernie Madoff a sociopath?